Joey Gallo will hit over .225: That might not seem like a bold prediction for most players, but considering Gallo has never hit above .210, I think it is appropriate here. Rumor has it that Gallo has been working on improving his contact skills. Mike Trout will post the highest WAR of his career: We should all stand in awe that we get to watch one of the greatest players we will ever see perform in his peak years. If Trout can stay healthy, I think this will be his best season yet. Carlos Correa re-establishes himself as the most coveted fantasy shortstop in the league: After an injury-plagued 2019, I think Correa’s average and power return to prior levels. At 24 years old, he will be everyone’s #1 dynasty shortstop again heading into 2020. Adalberto Mondesi steals approximately 55 bases: This might not be such a bold prediction, considering he stole 32 in less than half a season’s worth of at-bats in 2018. If he can keep the strikeouts at bay and improve his on-base skills, he can become one of the best fantasy players in the league. German Marquez leads the MLB in strikeouts: This is as bold as they get and probably will not happen if Scherzer and Verlander have healthy seasons. Marquez is young and has shown consistent improvement in every season he has played. If he doesn’t lead the league, I still like him to reach at least 250 Ks in 2020. I see a lot to like in him this year. Randal Grichuk and Teoscar Hernandez combine for 70 home runs: These guys have the offensive skills, but the biggest question is playing time for Hernandez. He needs to prove he can be a passable defender, but this should be very attainable for him given his solid minor league fielding metrics and elite speed. Chris Paddack finishes top 10 in xFIP and SIERA among starters: His minor league performance has given every indication of a soon-to-be ace. Freddy Peralta and Caleb Smith each strike out over 150 batters, with sub 4.00 xFIPs and SIERAs: Both of these fellas are healthy and mowing down hitters this spring. Both are showing excellent velocity, up a few miles per hour over 2018. Now that both have locked up rotation spots, it’s a great time to capitalize on two high-upside arms. Brandon Lowe hits 30 homers playing every day for the Rays, and Nate Lowe joins him in May, exceeding a 120 wRC+ in his rookie season: The Rays know what they have with Brandon, a future offensive force, whom they’ve just given a contract extension despite fewer than 200 at-bats. The Lowes were among the top hitters in the minors in 2018. The Rays also cleared the way for Nate to play at first, trading Bauers. 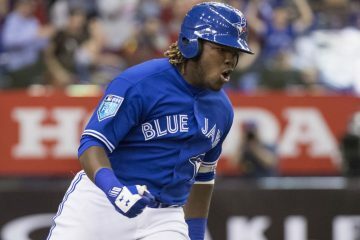 Adalberto Mondesi finishes as the top overall fantasy player, exceeding 25 homers and 50 stolen bases: He’s got the defensive skills and passable enough, Javier Baez-esque plate discipline to guarantee his playing time, and his power should continue to grow as he’s so young and has shown good power across the minors and majors. Nolan Arenado will win the Triple Crown: He leads the NL in homers and RBI on a regular basis. This will be the year his BABIP spikes and gives him the batting title too. Charlie Blackmon finishes outside the top 100 players this year: He is normally a top 20 player. Age is catching up to him and the steals (a huge part of his value) will dry up. Chris Sale will make fewer than 15 starts and will doom his fantasy owners: He is being drafted as the second pitcher off the board. Don’t draft pitchers who were hurt last year. Miles Mikolas should have stayed in Japan: His 2.83 ERA last year was a fluke. His smoke-and-mirrors approach won’t fly this year. Bust. A Phillies pitcher will win the Cy Young this year and it won’t be Aaron Nola or Jake Arrieta: Nick Pivetta and Zach Eflin will benefit from a rejuvenated Phillies’ defense and will boost their strikeout rates to new levels. Buy. David Price wins 25 games and the Cy Young:Chris Sale gets all the attention but David Price has health on his side. With the Red Sox offense leading the majors in runs by a large margin all their pitchers have to do to win games is make a lot of starts. Rick Porcello will win 20 games too. Michael Conforto leads the National League in home runs: Conforto had a torn posterior capsule in his left shoulder at the end of 2017, was out for six months and seemed to rush his way into the lineup to the start the season. After a .216 first half, Conforto hit .273/17/52 in 68 games after the all-star break, and his ISO jumped from .204 to .266. He might just creep towards 40 home runs with a fully healthy season. Pedro Strop keeps the closer job all season and saves over 30 games for the Cubs: Although he’s 33 and never been a full time closer, Strop has had an ERA under 3 for five consecutive seasons, while making between 54 and 76 appearances in each of those seasons. Strop was 6-1 with 13 saves in 2018, and pitched on zero days rest 13 times with a 1.42 ERA and 0.71 WHIP in these scenarios which is essential for a good closer. I think with Brandon Morrow’s current elbow injury and history of injuries, Strop takes the job and runs with it. Eloy Jimenez finishes higher on the fantasy “player rater” than Vladimir Guerrero, despite going 70+ picks later: Jimenez is likely to get a full month more of action in the major leagues, and the only reason the hype is not where it should be on Eloy is the existence of Vlad. Jimenez is a beast, who is going way too late in drafts. Daniel Murphy leads the National League in batting average: Murphy got robbed of a batting title in 2016 when he hit .347 and was narrowly edged out by a Coors Field Guy, DJ LeMahieu at .348. Murphy may be 34 years old next week, but he’s a Coors Guy now, who will save some wear and tear by playing first base in Colorado. Durbin Feltman is closing for the Red Sox by July: There has to be a reason that Boston did absolutely nothing about their bullpen and the departure of Craig Kimbrel and Joe Kelly, and the third round pick in 2018 makes the most sense. Matt Barnes walks too many guys, and while I like Ryan Brasier, the track record is not there. Even if Feltman is not closing, I think he is a sneaky buy on very few rosters in dynasty leagues. Brian Anderson will be a Top-40 Outfielder: Anderson is the classic case of a product being more than the sum of its parts, yet it seems everyone believes the opposite. Don’t. He’s a solid player. If he converts just 5 or 6 of his 38 doubles and triples into homers, he’ll be a fast mover. 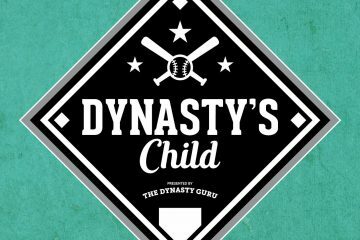 Luis Urias is a Top-150 player: I have always believed in this diminutive infielder’s sweet bat, and I’m very excited to see how it plays amidst a potent lineup. While he’ll live in the bottom of the order early on, I would not be surprised to see the Padres experiment with Urias throughout the order. Wherever he plays, I think he’ll live on the basepaths and make a lot of good things happen offensively. The dude is going to be a great draft steal. Richie Martin is a Top-20 Shortstop: Martin has room to grow, but he’s already pretty good. His defense should help him get a starting role in Baltimore, and his speed will help him grow offensively. If he goes 75/10/45/25, which seems possible, he could sneak into the Top-20 of a very deep position. Kyle Hendricks posts another ERA under 3.50: Even after 789 IP of 3.07 ERA ball, Kyle Hendricks always seems to have more doubters than believers. Everyone is ready for him to explode, and that’s what makes this a ‘bold prediction.’ I’ve long been a believer in The Professor, so why stop now? 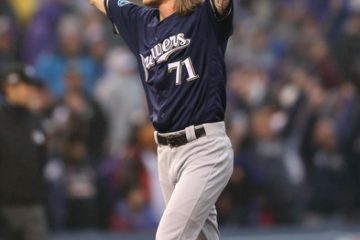 He has been an outlier to our understanding of pitcher value thus far, and I think he will be again. Hendricks is just ahead of the game. Marco Gonzales will be a Top-15 Starter: Marco Gonzales is going to rock this year in Seattle. He was superb last season too, but a rough month diluted his otherwise stellar results. He is much, much better than you may have realized. But that won’t last.